Kanako offers to help the new student council officer expose the secret of the newly crowned council president, little-miss-perfect Mariya. But, right in the middle of her plan, she breaks Mariya's grandmother's rosary. 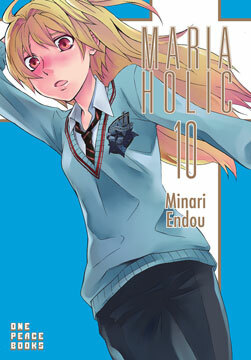 Things suddenly go cold between the two before Mariya's mother makes a surprise appearance. The childhood relationship between Kanako, Shizu, and Mariya is revealed! And while Ame no Kisaki is wrapped up in a Christmas mood, Mariya tries to solve the riddle that his grandmother began. What will happen between Kanako and Mariya? Find out in volume 14 of the high-tension love comedy's grand finale! It's been ten years since Kanako's older sister, Yume, has paid a visit to Ame no Kisaki. But when she arrives and sees Mariya, she instantly sees right through his disguise! Kanako, unaware of the drama with Mariya and her sister, reluctantly goes on a first date with the student council vice president of Hoshi no Mori at the joint school festival! Kanako is reflecting on her Kyudo club trial, when Miki brings Mariya a letter from Kanako's father–a letter that contains a shocking claim. Could it be? Are Kanako and Mariya really sisters? 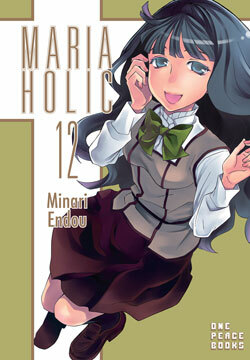 On top of everything else, a joint-academy festival with Mihoshi no Mori brings all the craziness to 120% in this, volume twelve of Maria Holic, the hilarious love comedy! “Could this be love?” Kanako Miyamae has always done what she pleased, but what will happen when her heart awakens to her maidenly desires in the new, fall semester? Find out in the hilarious eleventh volume of the adventures of a yuri-loving protagonist and a sadistic, cross-dressing boy! Kanako is nominated for student president? What astonishing secret lies behind this unprecedented nomination? Kanako doesn’t know that's its all part of the dorm leader’s strategy to remove her from the dorms after she’s defeated in the election! To protect herself, Kanako has no choice but to try and make it out alive—but can she do it? Find out in the hilarious tenth volume of the adventures of our yuri-loving protagonist and her sadistic, cross-dressing friend! Kanako’s birthday party is set for the end of summer vacation. Our “protagonist,” Kanako, is just about to rejoice in finally having some happiness, but she soon discovers that her greatest troubles lie ahead. 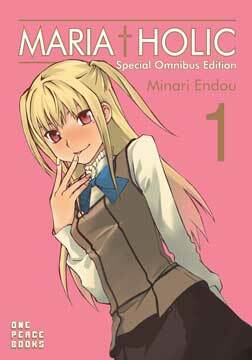 This volume marks the start of the second school term for a yuri-loving girl and a cross-dressing sadistic boy in this high tension love comedy! The dorm leader has a plan to help Kanako, who neglects reality and forgets to consult her bathroom scale all summer long—a Quest Diet! Kanako agrees to be the hero and complete her quest, but what is going on with Kanae and Rindo’s secret talks? And what secrets does the upcoming Kyudo tournament hold? Summer vacation is never-ending for a yuri-loving girl and a cross-dressing sadistic boy in this high tension love comedy! On the first day of summer vacation, Kanako Miyamae is visited by her beloved younger sister, Miki. Kanako just wants spend her vacation lying around doing as little as possible, but Miki unveils a shocking secret. Reeling from Miki’s confession, Kanako exposes Mariya’s secret. And to complicate things, Ryuken Ishima’s fiancé pays a visit to the school! And the fiancé is… an elementary school student? The tense romantic comedy between a refined girl and a cross-dressing sadistic boy continues in volume 7—the summer vacation! Kanako is excited to be transferring into a new all-girl mission school. She’s looking for her ideal yuri partner. When she meets Mariya Shidou she thinks she’s found the one. But wait! 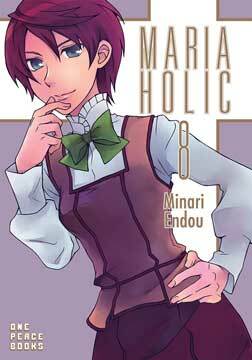 Mariya is a cross-dressing sadistic boy and now Kanako is forced to keep his secret! But that’s not all. To complicate things she’s drawing the attention of the most popular girl in school and, at the same time, catching the wrath of all the other girls. Will Kanako ever find the cute girl of her dreams? Or will she die of sexual-frustration nosebleeds? Love is a complicated affair for Kanako and the girls of Maria Holic. 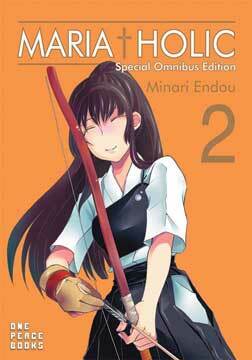 Special Omnibus Edition Volume 2 contains previously released volumes 4-6. 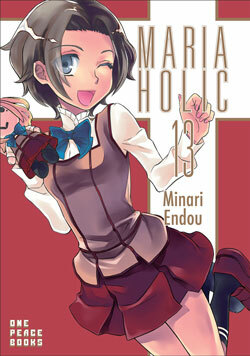 Enjoy Maria Holic all over again, or for the first time, in this new consolidated edition! Special Omnibus Edition Volume 1 contains previously released volumes 1-3. 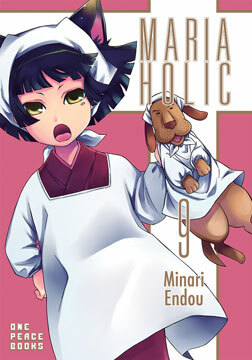 Enjoy Maria Holic all over again, or for the first time, in this new consolidated edition! 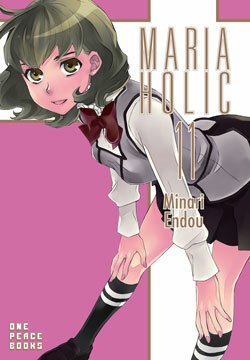 Minari Endou is a Japanese manga-ka. 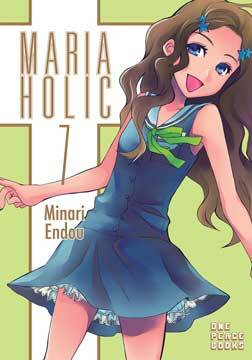 Her mega-hit Maria Holic debuted in Monthly Comic Alive magazine in 2006 and ran until 2015. From 2009 to 2011 it was also adapted into a hit animated series.